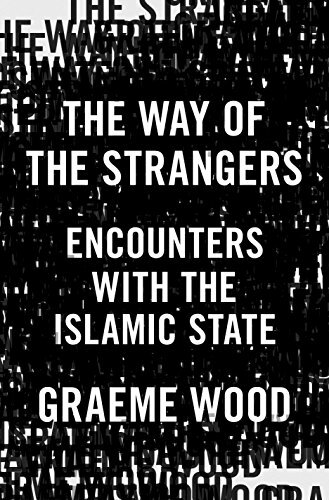 Graeme Wood traces the origins of this work and his pursuit of greater understanding of the Islamic State to having almost been killed by a suicide bomber in Mosul in 2004. Such a life threatening (or affirming) moment put him on a course to try and better understand the political science of the Islamic groups that have played such a prominent role across the Middle East and beyond over the last few decades. The book attempts to better understand the theology of the Islamic State, who Wood’s comes to the conclusion are “sick romantics.” Wood explains that “the rise of the Islamic State is indeed incomprehensible without examining” its religious origins. He also pushes back against a simple characterising of the Islamic State as barbarians simply because they are “incapable of the high-minded savagery that Westerners perfected” under the Nazis and Stalin, for example. The narrative is part investigative journalism, part theological debate and part travelogue as Wood’s travels the world meeting a sample of voices that frame the argument. He looks to start with Salafis as he “wanted to know where their reality-resistant worldview came from.” To do so he became part of the experiment by essentially putting himself forward in Egypt for attempted conversion. Wood’s thoughts on meeting Muslims in the U.K. is particularly interesting as he described “the feeling that one’s mind is prisoner to a civilisation one hates is a unique humiliation. These Muslims had thrust themselves into Islam— never realizing how British their vision of Islam had become.” Such an analysis of the identity politics around converts of second or third generation immigrants is very much where a trove of scholarly literature lies although perhaps it has never approached links to the Islamic State as directly as Wood’s work does. Wood argues that the Islamic State “aspires to be a more religiously muscular Saudi Arabia, under less merciful management.” The book explores the legal and historical legitimacy and influencers that brought the Islamic States theologians to where there are today. It is a very personal quest to understand those who seek to make Islam great again as they see it under the black flag. It concludes at a moment when quite the opposite was happening on the ground in Raqqa and Mosul, but then explains that the wider apocalyptic vision of how events will pan out is all part of the Islamic State’s plan.